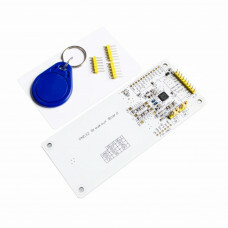 This NFC RFID Reader Kit 13.56MHz uses low power consumption. 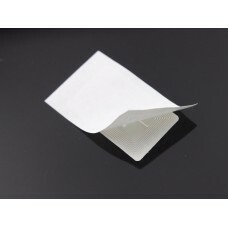 It has a compact size to read and write labels. The operation frequency is at 13.56 MHz, the same frequency as the NFC. 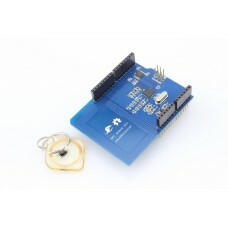 It can be easily used for Arduino and other microcontroller. The communication speed is 424 kbit/s. 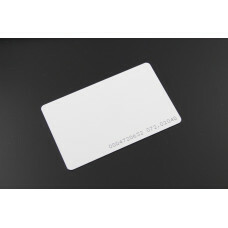 RFID supports card types are mifare1 S50, mifare1 S70 mifare ultralight, mifare pro and mifare desfire. Note: It does not support RFID cards running at 125 KHz frequency. It only supports cards running at a frequency of 13.56 MHz. MF RC522 is applied to the highly integrated read and write. Smart meters and portable handheld devices developed better choice. 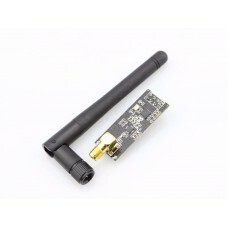 The MF RC522 use of advanced modulation and demodulation concept completely integrated in all types of 13.56MHz passive contactless communication methods and protocols. The digital part of to handle the ISO14443A frames and error detection. support rapid CRYPTO1 encryption algorithm, terminology validation MIFARE products. MF RC522 are similar to MF RC500 MF RC530 , but also have the characteristics and differences. 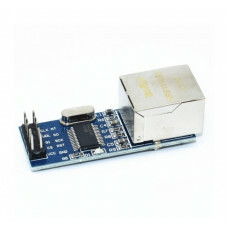 Communication between it and the host SPI mode helps to reduce the connection narrow PCB board volume, reduce costs. The MF522-AN module design circuit card reader, easy to use. Low cost, and applies to the user equipment development. The reader and advanced applications development meet the user RF card terminal design/production needs. 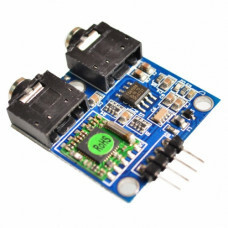 This module can be directly loaded into the various reader molds, very convenient. 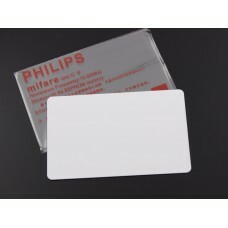 This is a MIFARE Classic card - often used for electronic locks or customer identification. 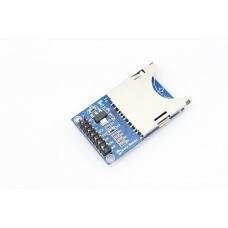 The tag ..
SD Card Socket Module module helps you using SD card in your project. Install a SD card into the soc.. 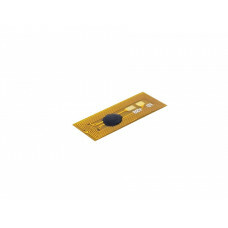 This tiny micro NFC/RFID tag is super small, and contains an NTAG203 chip plus antenna. It's super t.. 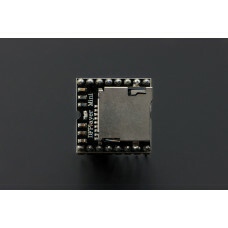 The ENC28J60 Ethernet Module utilizes the new Microchip ENC28J60 Stand-Alone Ethernet Controller IC ..
NFC Tag (13.56MHz) is widely used in electronic locks or customer identification as well as other sy.. This is a proximity identification token of 125Khz, EM4100. 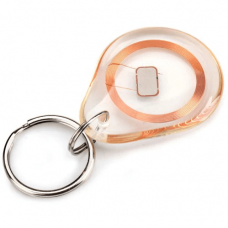 You can use it with the 125K RFID reader.. 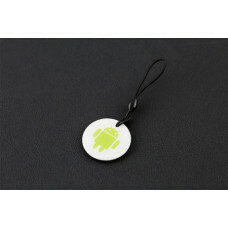 This is a MiFare Classic keychain fob - often used for electronic locks or custo..